Fried Shrimp – fresh, juicy deep-fried shrimps drenched in buttermilk and coated in highly-seasoned breadcrumbs. Light, crispy and finger-licking good! I can’t remember the very first instance that I fell in love with shrimps. 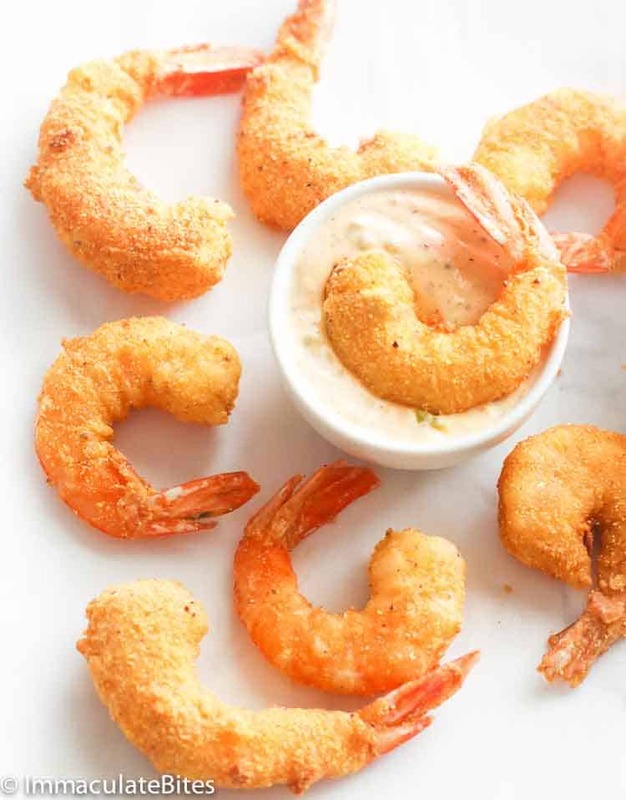 But all I know was back when I was a child, I would usually sneak in one or two fried shrimps while mother is waiting for them to cool down completely on sheets of paper towel. Thus, the birth of my shrimp obsession! Not a week goes by without shrimps on my menu. Be it a gumbo, shrimp salad or shrimp pasta – I love anything SHRIMP! 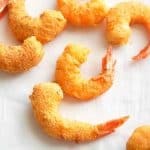 And it is only rightful to post this Classic Fried Shrimp if you want to dig in the simpler ones. But wait, these shrimps here aren’t that as basic as you thought it is. 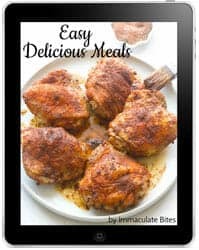 It is drenched in a tangy buttermilk to add flavor and keep it juicy on the inside and coated in a well-seasoned cornmeal and flour mixture with spices and herbs. 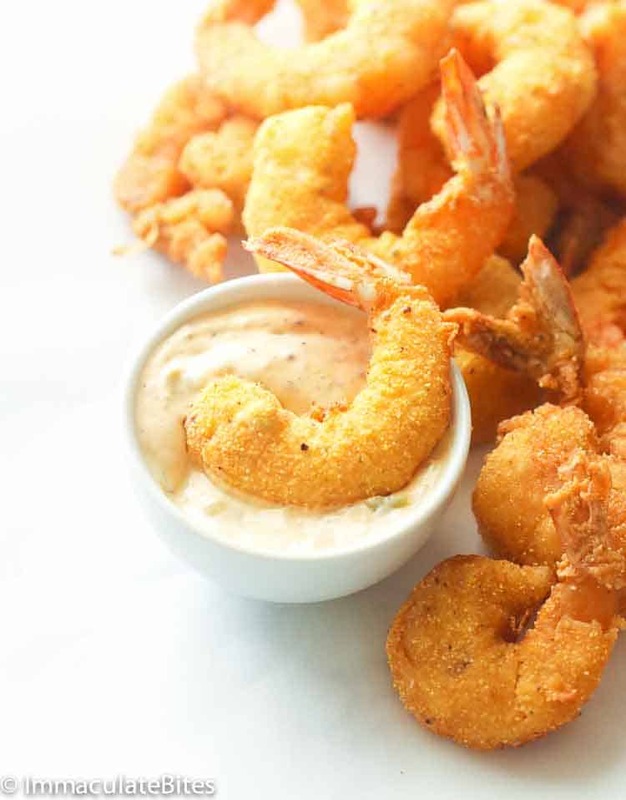 The key to a crowd pleasing fried shrimp isn’t the batter, but the shrimp itself. No matter how you coat it, the quality of shrimps inside still matters. 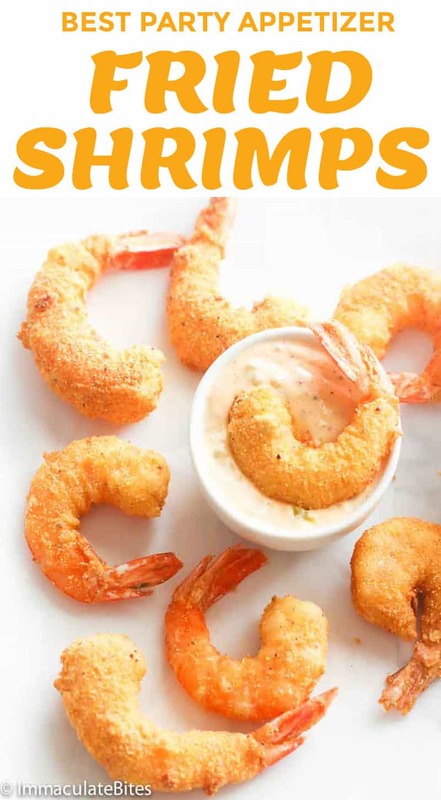 The bigger the shrimps, the better. If you hate the deveining process, you can always buy prepped ahead shrimps. 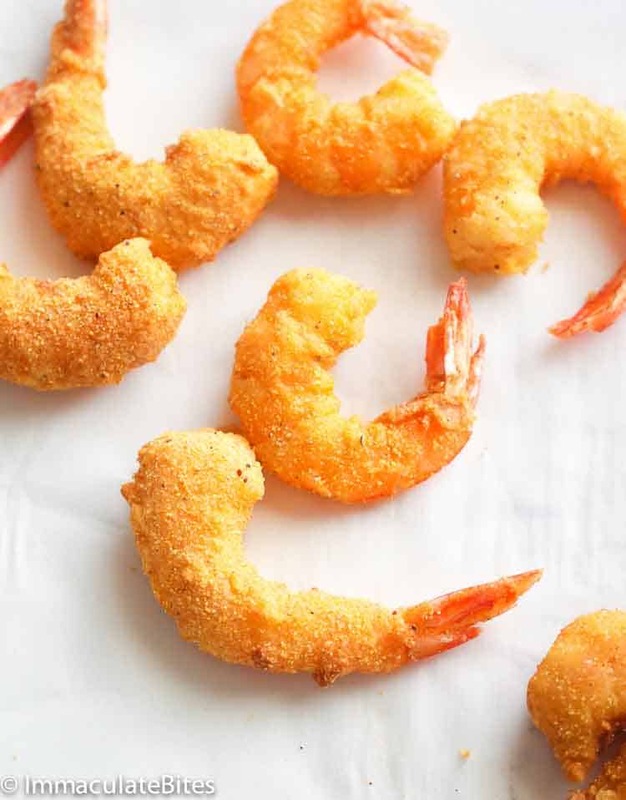 Remember that if you’re using frozen shrimps, you need to pat them dry with paper towels. You also need to make sure that your oil is not too hot or else the coating will brown faster than the shrimp inside. Shrimps cook very QUICKLY. Over cooking them will leave you washing your money down the drain. Rubbery shrimps are not that cool! 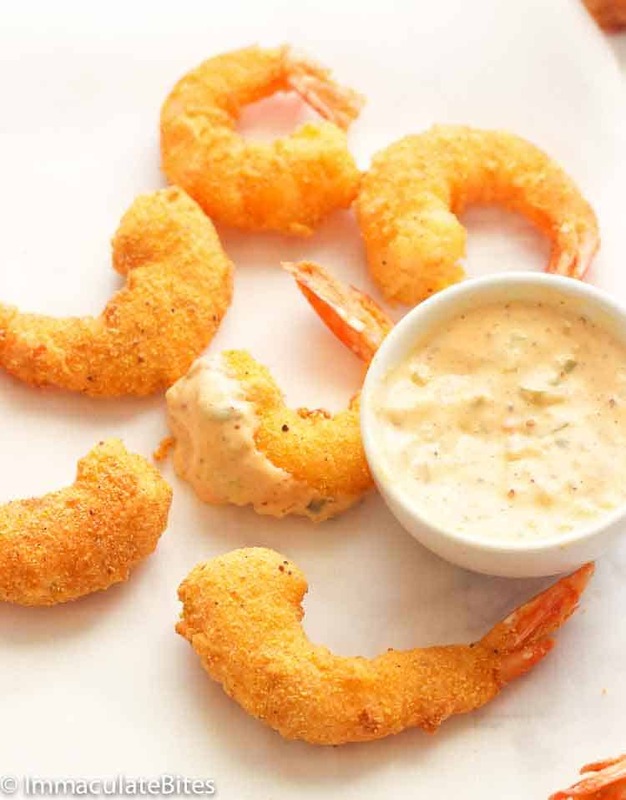 Don’t forget to serve these Fried Shrimps with this remoulade sauce. These classic eats here are best served as appetizers or even on regular weeknight meal. When buying deveined frozen shrimps in grocery stores, make sure to pat them dry with paper towels to ensure beautiful crispiness. You can also use canola or peanut oil aside from vegetable oil. You can use regular flour OR self-rising flour. Do not OVERCOOK! Shrimps cook quickly; you’re oil shouldn’t be too hot either. Fry them in batches to ensure even cooking for 3-4 minutes, depending on the size, of course. Preheat a deep-fryer to 375 degrees F OR In a large sauce pan, pour vegetable oil – half way . In a large bowl mix together, cornmeal, flour, garlic & onion powder, cayenne, salt and pepper. Mix buttermilk and eggs. Set aside. Dip shrimp in buttermilk mixture and lightly deep into the flour mixture. Then fry the shrimp in the fryer or saucepan a few at at a time. Fry until slightly brown and crispy, about 3 to 4 minutes or more depending on the size. These big chunks took about 6 minutes per side. Remove from the fryer with a slotted spoon place on a cookie rack to ensure crispness. Repeat with the remaining shrimps. Preheat a deep-fryer to 375 degrees F OR In a large sauce pan, pour vegetable oil – half way. In a large bowl mix together, cornmeal, flour, garlic & onion powder, cayenne, salt and pepper. Mix buttermilk and eggs. Set aside. Then fry the shrimp in the fryer or saucepan a few at at a time. Fry until slightly brown and crispy, about 3 to 4 minutes or more depending on the size. These big chunks took about 6 minutes per side. Remove from the fryer with a slotted spoon place on a cookie rack to ensure crispness. Repeat with the remaining shrimps. Thanks so much for sharing. I made it for my family last week and they all love it. Yaaay! Thanks for stopping by, Kimberly!